Aecom chief executive for Europe Steve Morriss has declared himself a feminist, becoming the latest industry heavyweight to support NCE’s engineering equality campaign. He joins Atkins UK and Europe chief executive David Tonkin, Thames Tideway Tunnel chief executive Andy Mitchell and Highways Agency chief executive Graham Dalton. The definition of feminism is “the advocacy of women’s rights on the ground of the equality of the sexes”. Challenging any who presume that the term carries negative connotations, he said that his understanding of feminism was clear and that describing himself as a feminist also demonstrated his commitment to tackling “ignorance and prejudice”. Consultant Aecom is one of the largest engineering design firms in the world and recently reported a 2013/14 annual turnover of $7.9bn (£4.9bn) with staff numbers totalling 45,000. Morriss is Aecom chief executive across Europe, Middle East and Africa and takes the view that having a feminist outlook is vital to the success of the company which operates in 150 different countries. Rather than being described as the world’s number one, Morriss says that Aecom seeks to define itself by its passion for “making the world a better place” and one of its current missions is to take an active role in advocating equality for women. 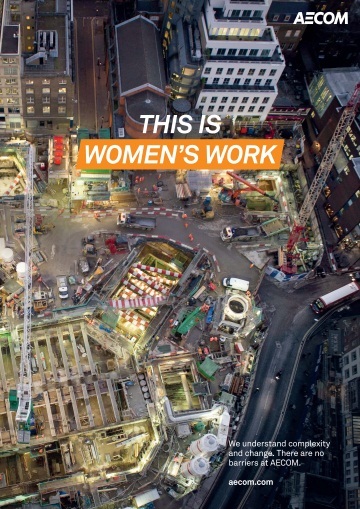 It recently circulated a poster across its European, Middle East and African offices showing an aerial view of a Crossrail construction site in London with the words, “This is women’s work”. The poster has received positive feedback from staff and is a sign of how the firm intends to reflect externally its commitment to recruiting, retaining and supporting the careers of women in its business. The firm chose an image of Crossrail to demonstrate the importance of women in working on one of the world’s most significant projects. According to Crossrail, 29% of its project managers are female. Most companies are supportive of gender diversity, so our mission now is to be more active in our support – acting like we mean it. He likened the importance of gender diversity in the workplace to that of safety, in terms of its effect on achieving better solutions. 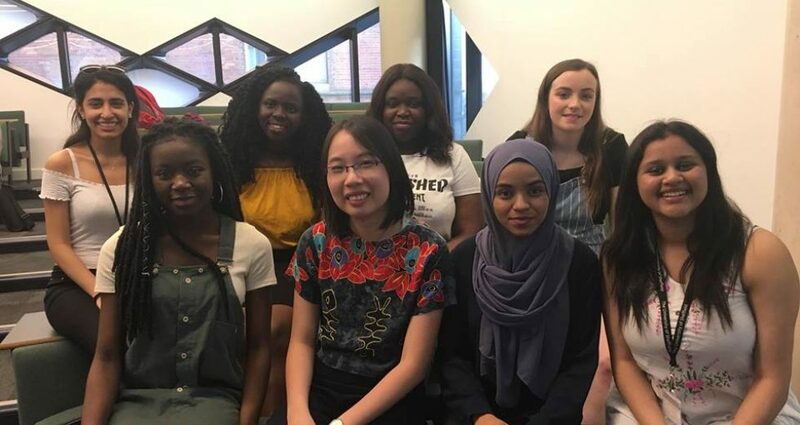 Aecom has set itself a target to have women making up 50% of its workforce – “a target which is aspirational, but no different to that of achieving zero accidents on a construction site. Industry as a whole has embraced safety in a way it hasn’t yet with diversity,” he added. Currently, 27% of Aecom’s UK and Ireland workforce is female -two-thirds typically occupy technical roles. The figure has increased over the years, but still stands well below the proportion of women working in Aecom’s offices in Western Europe (38%) and the former Soviet Union (34%). Morriss said he understood that the proportion of women in industry largely reflects the female proportion of students studying engineering at university, and that as a result, achieving gender equality is a tall order. our response as a business to recruit as many female engineers as possible. You get the workforce diversity you deserve – you only get it by working really hard to achieve it.